We at Wunder Workshop believe in transparency and want you to know as much as possible about our products, so you know what you're consuming and what you're supporting with every penny you spend. There is a lot of misinformation out there about turmeric, CBD and health foods in general, so we would like to share some facts and our further research with you. WHERE ARE OUR INGREDIENTS GROWN? 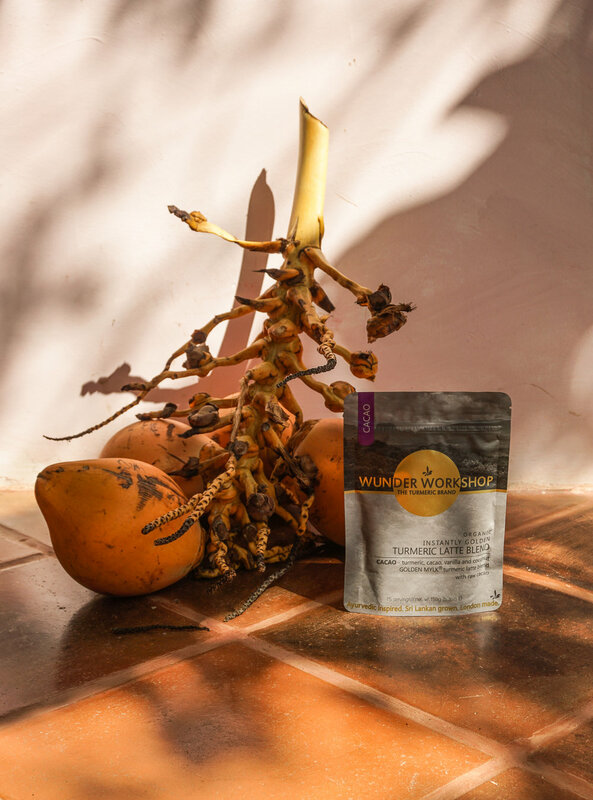 At Wunder Workshop we ethically source high quality, organic turmeric powder from small, independent farms in the heart of Sri Lanka. These community run farms use a technique known as Analog forestry, which imitates the native biodiversity of the region’s flora and fauna, by planting in the shade of tree canopies to assist in replenishing the nutrition and moisture of the soil. This farming style goes beyond the conventional mono-culture techniques and even beyond our Organic logo. Besides guaranteeing pesticide and chemical free production, Analog forestry helps to rebuild a sustainable ecosystem and empowers rural communities. In conventional farming, flora and fauna struggle to survive on the land used for production, which has a far-reaching effect on the local ecosystems. High-demand for a crop throughout the year puts stress on conventional farmers to use more land and thus reconstruct more of its natural vegetation for agricultural use. In choosing organic or Analog forestry, one is helping to limit further damage to the ecosystem. 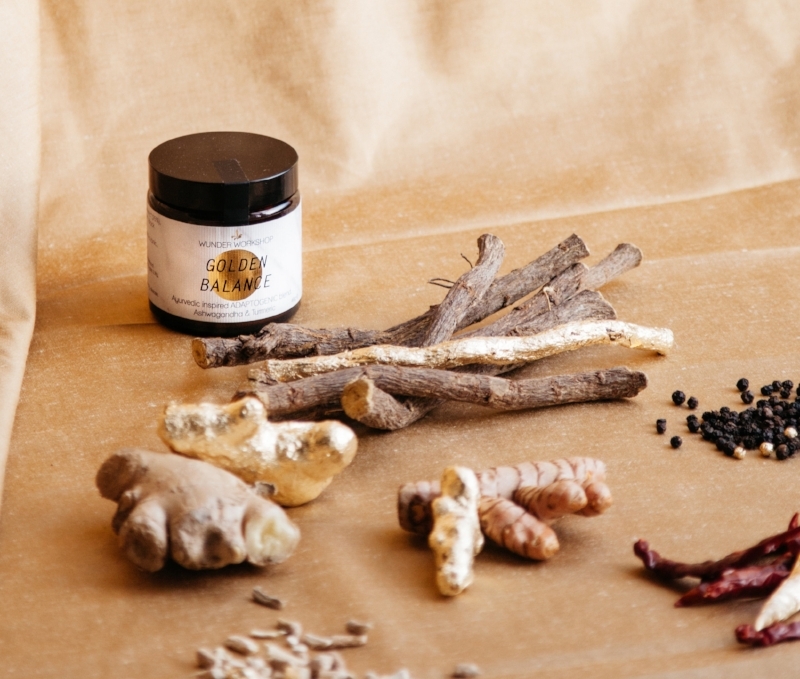 Turmeric powder stems from the dried rhizome of the Curcuma longa plant, whose roots are planted between March - April, just before the monsoon season kicks in. 7 to 9 months later they are ready to be harvested, and the hotter, drier climate from December - January causes the leaves to wilt pushing the nutrients in to the root. This root/rhizome is removed and dried at low temperatures then ground in to a fine powder. WHY DO WE USE COCONUT MILK POWDER & BLACK PEPPER? Even though turmeric has proven to have anti-inflammatory, anti-fungal, and even cancer-inhibiting properties (1,2), it is still not yet widespread in western medicinal practices because of its poor bio-availability (ability for body to use it) on its own. Consumed alone, it metabolizes too quickly in your liver and intestinal wall for your body to reap any of the benefits. However, paired with piperine, a compound in black pepper, the bio-availability of turmeric increases 2000% by slowing the metabolization of the curcumin (3). Pink pepper-corns or cayenne unfortunately don't have this effect, as their main compound is cardanol which doesn't aid absorption of curcumin. Also, turmeric's nutrients are fat soluble, so consuming it with a healthy fat such as coconut enables your body to use the nutrients. WHAT ARE TURMERIC'S MAIN BENEFITS? Anti-inflammatory, anti-fungal, antioxidant, antibacterial, used in cancer treatment and for inflammatory skin conditions. Please find some further studies below. HOW MUCH TURMERIC SHOULD YOU HAVE? The daily recommended dose is between 800mg -2000mg. Our Instantly Golden Turmeric Latte blends have 800mg per serving. Making it the ideal way to enjoy a couple of cups a day if you're in need of a higher dose. ARE THERE ANY SIDE EFFECTS TO HAVING TURMERIC? Turmeric may interfere with anti-coagulants like aspirin, clopidogrel and warfarin. It also can affect medications such as non-steroidal, anti-inflammatory drugs. As with any herb or supplement, use as directed and consult with your physician if in any doubt. Also, when applied to the skin, turmeric can temporarily stain the skin or leave a yellow residue. This is normal. But if you are allergic, direct skin contact can cause irritation, redness, and swelling. TURMERIC CBD is hand-crafted in an ISO 5 certified laboratory in the centre of London, using the finest organic turmeric extract and olive oil, it’s designed to have maximum impact on inflammation. Incorporated in the daily rituals of athletes, C-level executives and world-class performers, this is your new go to wellness formula. Adaptogen herbs are a unique class of plants that promote hormone balance and protect the body, especially from excess stress. When one is stressed your body's cortisol levels are elevated which can affect every physiological system in your body, including your thyroid and adrenal glands. It can make you anxious and irritable, lead to weight gain and bone loss, contribute to diabetes and heart disease risk and deplete your energy levels. Adaptogens include ashwaganda, astragalus, ginseng, licorice root, holy basil, some mushrooms and rhodiola. ARE ALL OUR PRODUCTS ORGANICALLY CERTIFIED? Yes, all our products are certified by the Organic Food Federation. Therapeutic strategies for the management of ulcerative colitis.